Since the German Federal Election in 2002, the “Wahl-O-Mat” has been used as an interactive online information tool by the Federal Agency for Political Education. The aims of the Wahl-O-Mat are to inform users about political issues and the differences between the parties running for elections, to encourage follow-up communication about politics and ultimately to motivate people to vote. Users are presented with 38 statements from different policy fields. They can choose whether they agree or disagree with the statements or remain neutral. Based on a user’s answers, the Wahl-O-Mat calculates the proximity of the user to the parties’ positions. Tools such as Wahl-O-Mat are known as “Voting Advice Applications” (VAAs). The previous research on VAAs shows that they have effects on the political behavior and political knowledge of the users. For the German Federal Election in 2013, the Wahl-O-Mat was used more than 13 million times. Thus, it reaches a significant share of the electorate, which is why it is important to deal with the effects of the tool and to conduct further research on them. 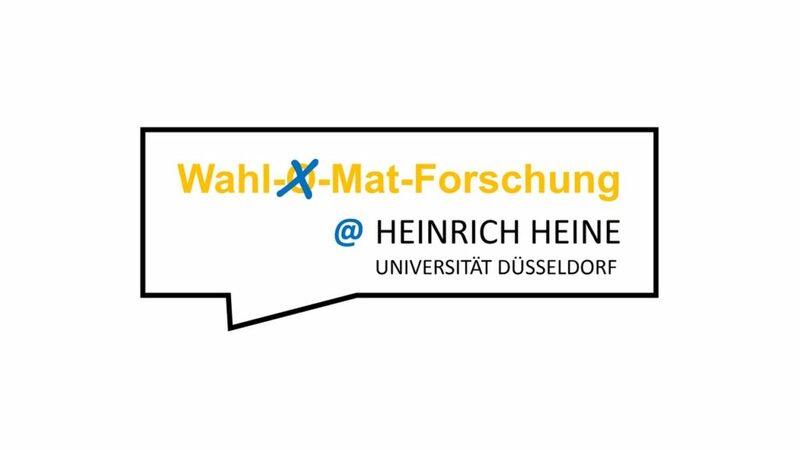 The research project of the DIID and the Wahl-O-Mat research unit at the Heinrich-Heine-University Düsseldorf in cooperation with the State Agency for Political Education of North-Rhine Westphalia aims at elucidating previously unexplored fields of VAA research in two research modules. The first module deals with the follow-up communication on social media, especially on Twitter. This social networking service makes communication visible and thus analyzable. This digital communication data is used to capture “who” shares “what” and “when” about the Wahl-O-Mat. Twitter postings including the #wahlomat are collected within a defined period of investigation using social media mining. After data cleansing, the posts are evaluated using content analysis. Based on this method, the resonance (quantitative and qualitative) of the tool, its framing and the type of contributions users share about the Wahl-O-Mat can be determined. For example, these could be invitations to use the tool, sharing of the Wahl-O-Mat result, or concrete requests to vote for or against a certain party. This explorative research on the communication about the Wahl-O-Mat in social media seems to be worthwhile, as these provide an important resonance space for political communication if we assume a connection between communication about politics and political behavior. Finally, this analysis is also relevant with regard to the intention of the makers of the tool to encourage political follow-up communication (Project manager: Katharina Gerl). The second research module is focused on the analogue Wahl-O-Mat. The analogue Wahl-O-Mat has not been the subject of scientific research yet, but because of its special format and setting, it raises interesting and new research questions. A special feature of the analogue Wahl-O-Mat is that the attitudes of other users towards policy statements are visible. This could lead to effects like social desirability by adapting to opinion leaders. In addition, the analogue Wahl-O-Mat is not used alone, but in the presence of others. This can lead to interactions during the usage, which can also affect positioning. The closed setting of the analogue Wahl-O-Mat also provides the ability to capture follow-up communication right after Wahl-O-Mat usage (Project manager: Jonas Israel). First, the objective of the research module is to profile the users within a user survey. This provides the opportunity to compare the users of the analogue Wahl-O-Mat with those of the digital one. In addition to a quantitative survey, conducting supplementary qualitative interviews or other qualitative techniques (e.g. : “Thinking aloud”) is a good way to learn more about the cognitive processing and decision-making processes during the use of the Wahl-O-Mat. This is interesting both in terms of the design of the tools and the issue of political education by the Wahl-O-Mat. munication and participation. Since 2012, Stefan Marschall is the speaker of the section “Politics and Communication” of the German Political Science Association (DVPW). Moreover, Stefan Marschall is head of the Duesseldorf Research Centre on the German Voting Advice Application “Wahl-O-Mat” and responsible for the development and implementation of the “lokal-o-mat”. A further research focus of Stefan Marschall relating to the social and political dimensions of internet is documented by his works on political online-participation. 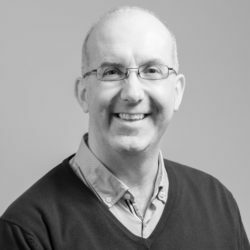 Since 2016 he is partner in the Horizon 2020 Twinning Project Network for Social Computing Research – NOTRE (TWINN – 2015, http://notre.socialcomputing.eu/). Additionally, he is one of the Principal Investigators and Member of the Board of the Institute for Internet and Democracy (www.diid.hhu.de) as well as of the Graduate School “Online Participation”. For the DIID he serves as one of the two Deputy Speakers. He has conducted and published several studies on the use of online-based participation platforms within parties and parliaments in the last years. ment of Social Sciences at Heinrich Heine University Duesseldorf and at the Düsseldorf Institute for Internet and Democracy (DIID). 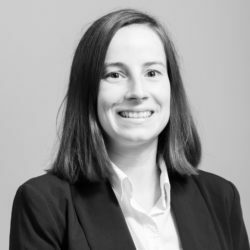 In her PhD thesis she analyzed the effects of digitalization and mediatization on party organizations in Germany. pation and the development of evaluation criteria to measure and compare the input, output, outcome and impact of digital tools for public participation.